JBF isn't only about finding great bargains, its also about Givng Back! Consignors have the options to have unsold items and many do! The items are donated to local charities. During 2016, consignors donated over 15,000 items valued over $45,000 to local non-profit agencies in the region. 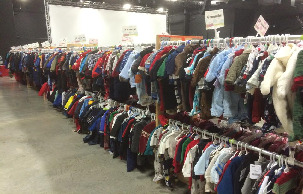 "Arlington Kids’ Kloset is a volunteer operated organization that provides new and quality used clothing, shoes, and hygiene products, free of charge, twice yearly to children ages preschool through grade 12."